The Dodgers, Giants, Angels, Phillies and Rays are all in on free agent Josh Harrison at the moment, according to Jon Heyman of Fancred. Reported interest from the Giants and Angels isn’t anything new for Harrison, but this is the first time the Dodgers, Phillies and Rays have been connected to him in any major way this offseason. The 31-year-old Harrison is available on the heels of a below-average season with the Pirates, who declined his $10.5MM club option in favor of a $1MM buyout afterward, but has typically been a decent offensive player and a solid, versatile defender during his career. Consequently, Harrison has drawn widespread interest on the open market. A .277/.317/.408 hitter in 3,012 plate appearances, Harrison has posted a 98 wRC+ and a 97 OPS+, falling just shy of the league-average mark of 100. He has also accrued significant reps at second, third and in the corner outfield, though the vast majority of his 2018 playing time came at the keystone. Harrison would provide the Dodgers yet another multi-position defender, and as a right-handed hitter, he’d give the lefty-heavy team some variety in its lineup. For Philly, Harrison may be a fallback option at third base in the event the club doesn’t sign free agent Manny Machado, though it’s debatable at best whether the former is superior to current starter Maikel Franco. The Phillies already have a quality starter at second in Cesar Hernandez, so it’s doubtful Harrison would see much action there. Unlike both the big-spending Dodgers and Phillies, the Rays operate with a bottom-of-the-barrel payroll. Still, they should be able to afford Harrison, who’d offer them further protection behind second baseman Joey Wendle, third baseman Matt Duffy and corner outfielders Tommy Pham and Austin Meadows. The most recent chatter on Bryce Harper has focused on his ongoing dalliance with the Phillies, due in no small part to a recent, in-person meeting. Jon Heyman of Fancred tweets that Harper “hit it off” with Phils skipper Gabe Kapler, which perhaps represents a notable, though unquestionably secondary, factor in the still-developing situation. Though the word long has been that the Philadelphia organization has at least a slight preference for Manny Machadoover Harper, Scott Lauber of the Philadelphia Inquirer writes that the latter may actually be a better match. Lauber ticks through a variety of ways in which that’s arguably the case, ranging from Harper’s fit in the lineup and on the roster to broader considerations such as marketing. 4:45pm: Machado was the Phils’ primary target at one point, per Fancred’s Jon Heyman (Twitter links), but it’s now much more even between him and Harper — if not slightly tilted in Harper’s favor. The Phillies, according to Heyman, are expected to make a formal offer to Harper in the near future. Even if the Phillies won’t sign both Machado and Harper, Heyman notes that the goal is to sign one and then explore the market for other top free agents like Pollock, Keuchel and Kimbrel. To that end, USA Today’s Bob Nightengale cites team executives with the Phils in tweeting that organization has “visions” of signing the trio of Harper, Keuchel and Kimbrel. Paired with the prior acquisitions of Jean Segura and Andrew McCutchen, among others, that’d obviously be a seismic roster overhaul — the magnitude of which has been virtually unparalleled by any team in recent memory. Of course, striving to add that trio and actually signing all three are two entirely separate animals, and it remains to be seen how feasible it is that the Phillies could win the bidding on three of the market’s top remaining free agents. 1:00pm: With a surprisingly small number of teams engaged on superstar free agents Bryce Harper and Manny Machado, it has at times seemed as if the big-budget Phillies are the favorites to land both players. Of course, even if the Philadelphia org is the likeliest single team to secure the services of each, that does not mean that it should be expected to come away with a pair of monster deals. Still, the possibility of hooking two free agent trophies has remained tantalizing to consider. 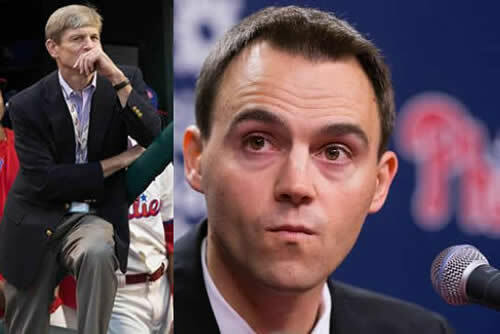 Certainly, there was never anything approaching an expectation that the Phillies would land both, or even that they’d seriously consider taking on two huge salaries. But it’s still a notable bit of seemingly hard information in a market situation that has remained exceedingly fluid, so far as is known publicly. As Gelb explains, moreover, that stance is perhaps a notable aspect of the Phillies’ strategy in approaching both Harper and Machado. If the club’s money is only there for one of the two players, that conveys no small amount of leverage. Even if both players would rather end up elsewhere, they surely can’t ignore the presence of the Phils’ ample pocketbooks in navigating a surprisingly barren field of pursuers. Perhaps the best case scenario for the Philadelphia club would be for one of these two players to jump on a big but palatable offer to join on. Of course, their respective representatives — Scott Boras, for Harper, and Dan Lozano, for Machado — have played this game before. We’ve seen teams emerge from the woodwork in the past to land players of this quality with surprisingly massive contracts. As Gelb rightly suggests, the presence (or absence) of “mystery teams” — whether as active bidders or as conjured by the agents — may go a long way toward influencing the course of negotiations. Gelb says the Philly club intends to continue exercising confident patience in talks. The situation seems ripe for that approach, though surely the team would be better-situated if Harper or Machado had a stronger personal desire to end up in Philly. Really, there seem only to be a few risks here (beyond those that are inherent to such a major investment, which the team has already largely resolved in favor of action). Finally, the Phils could end up missing on both players. Gelb says the team is confident it will land one of the two, though surely there’s some possibility that they’ll both head elsewhere. That is perhaps the most concerning outcome, though even then there are alternatives. A.J. Pollock, Dallas Keuchel, and Craig Kimbrel are the leading three alternative remaining free agents; all would be hypothetical fits. And the trade market is all but sure to have some intriguing targets still available, even if it means coughing up more prospect capital than the team might wish. 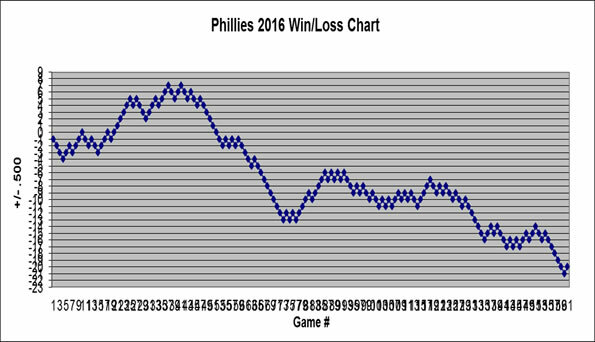 Losing the star power would hurt, but it seems reasonable to think the Phillies could still back-fill the missing talent. All things considered, there are still many ways in which things could shake out — with both Harper and Machado landing in Philadelphia evidently not among them. Today’s news may not be earth-shattering, but it does cabin the universe of foreseeable outcomes. With hundreds of millions of dollars at stake, in a slow-moving and increasingly tense market setting, it’s a signpost that’s at least worthy of keeping in mind.